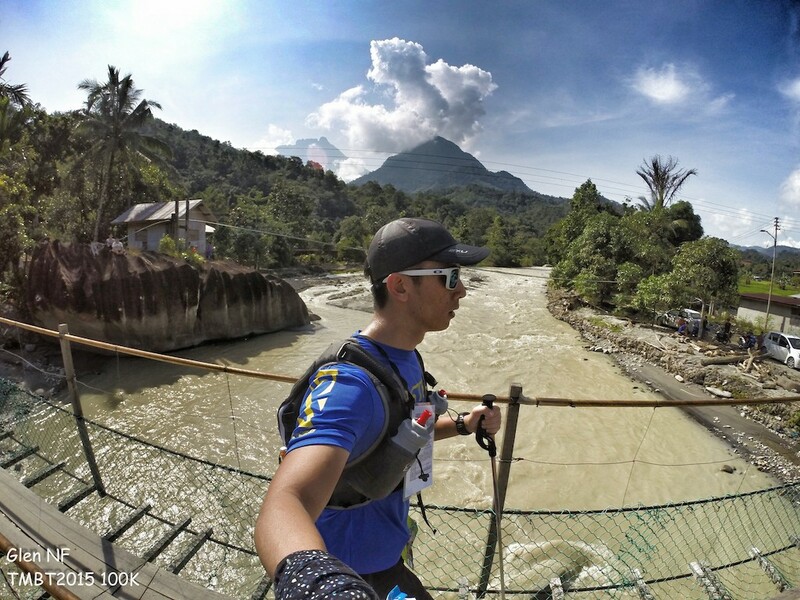 Why Trail Running and Off-Road Cycling is a Must in Sabah | JustRunLah! ‘Have trail, will travel’ — this is the motto for the new breed of adventure racers in Sabah who have taken to the hills, jungles, mountains and beaches to experience the exhilarating challenge of mind, body and spirits that only a good trail run can offer. Trail runners can explore numerous easy to medium grade trails, or spend a few hours traipsing through various types of terrain for a close encounter with nature and an even closer encounter with the friendly locals along the route. A huge plus point for trail running in Sabah are the foothills of the massive Crocker Range that runs parallel, close enough to its west coast, and are also easily accessible for leisure and competitive trail runners. The Kokol Hills is a beautiful hilly area just 30 – 45 minutes away from Kota Kinabalu city. The steep hills may be a challenge to your endurance; but the stunning sunrise on a clear day, and panoramic vistas of the surrounding rainforest and coastline makes the journey worthwhile. While the roads around Kokol Hills are mostly sealed to provide access to hillside resorts like Kasih Sayang Resort and Kokol Haven, you can add in a good few kilometers of off-road trail with a diversion to Kionsom where a nearby waterfall offer a cool respite from a hot and sweaty outing. The Salt Route was an ancient trade route that used to connect the villages between the interior district of Tambunan and Penampang on the west coast for the purpose of barter trading. The route has long been abandoned, only used by a handful of villages for short trips today, and also trail runners who have found joy in running along the trail from Penampang to Terian and Buayan villages. The route is more demanding for novice trail runners, but it is a challenge only a passionate trail runner can appreciate and take on with gusto. For those up for a longer drive, Ranau offers picturesque hilly trails with lowland tropical rainforest and farmland dotting the landscape. You will find the 3-hour travelling time worth the effort for the change of scenery and many tourist attractions to visit during your stay such as the Kundasang War Memorial, Poring Hot Springs, local markets, river fish spa and tea plantation. The annual Ranauthlon is held around November and is a great introduction race for those looking to participate in more rigorous trail runs in Sabah such as the TMBT (The Most Beautiful Thing). A group of young trail running enthusiasts called Sabah Trail Seekers have been actively involved in growing the local community of trail runners over the last couple of years. Give them a buzz at [email protected] if you’re planning to include weekend trail runs into your next trip to Sabah. The coastal road that stretches from Kota Kinabalu city to Pantai Dalit (Dalit Beach) in the north is considered the ‘golden stretch’ for road running and cycling. 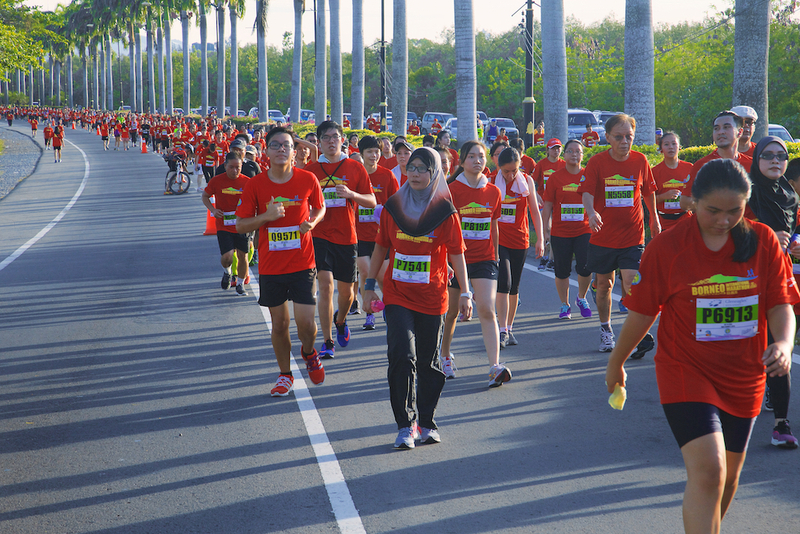 The flat and sometimes undulating landscape holds enough promise to keep participants of the annual Borneo International Marathon and the KK Century Ride, coming back for more. This stretch of road is perfect for road cycling and on weekends, you can see groups of cyclists working on their cycling techniques, speed and endurance. A side trip to Universiti Malaysia Sabah campus has some pretty decent hill slopes, which can give you that extra leg work before proceeding further up north towards Pantai Dalit (Dalit Beach) in Tuaran district. The KK Century Ride is for 100 km only and is a good mix of coastal highway, hills, flat stretches, narrow side roads and a couple of scenic bridge crossings. With more roads opening up or being upgraded in Kota Kinabalu in the next few years, cycling enthusiasts can look forward to riding up to 100 miles (160 km) along Sabah’s picturesque west coast. For leisure cyclists not hell-bent on speed, a popular stop-over point at the Pantai Dalit area is the row of stalls selling ‘kelapa bakar’ or burnt coconut, where young coconuts are scorched over an open fire before its smoky-flavoured water is drunk. 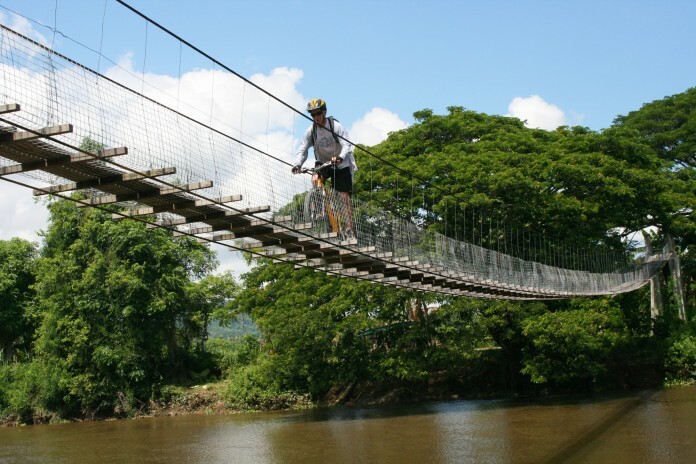 Off-road cyclists make this their jump-off point to explore the trails in the area, where the trails bring them through local villages, farmland, suspension bridges and hilltops for panoramic view of the surroundings. 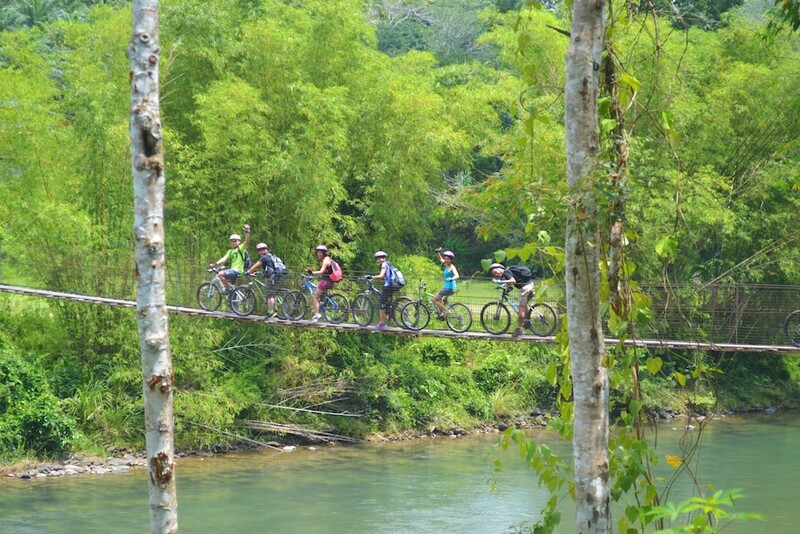 The Cycling Association of Kota Kinabalu (CAKK), who is also the organizer of KK Century Ride, organizes regular weekend off-road cycling trips. 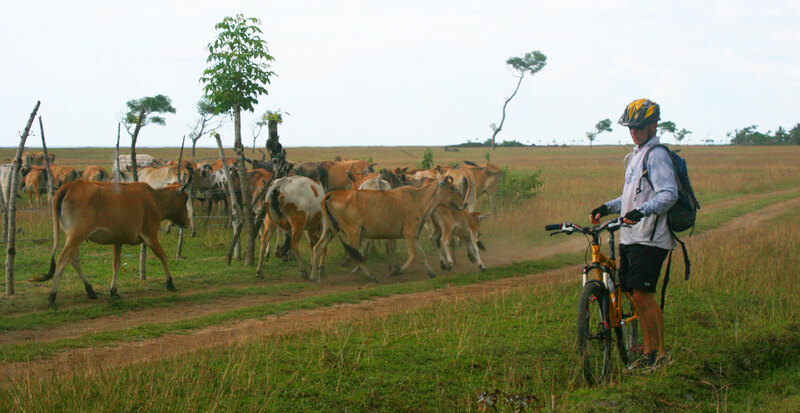 Locals and tourists can contact [email protected] for information on their rides and join in. Bike rentals can be arranged.